Why forward-booking is the best strategy for veterinary practices. Patient care improves because timely visits let the dental team diagnose oral problems early. As a business strategy for dentists, scheduling the next visit today will keep the hygiene schedule full and productive. When the hygiene schedule is not full, a domino effect will occur. In addition to health risks to patients, the dentist will see vacancies in future treatment schedules. At least 80 percent of dental problems — root canals, crowns and restorations — are diagnosed during hygiene appointments. When patients leave today’s hygiene appointment without a future visit scheduled, a dental practice’s profits will decrease at least 50 percent. Veterinarians need to follow dentists’ lead and use forward-booking for preventive checkups, medical progress exams and chronic disease management. Besides providing timely preventive care and early detection, the 2013 AAHA State of the Industry Report estimated that going from 5 percent to 10 percent of forward-booked exams could generate $40,000 in additional revenue for a typical practice, or equal to 3 percent revenue growth. The report estimated a total of $350 million in additional preventive care revenue for the veterinary profession. According to the 2015 AAHA State of the Industry report, 6 out of 10 pet owners would forward-book their pets’ preventive checkups. Direct the client to a specific date and time, increasing the likelihood she’ll schedule. If the client is here at 10 a.m. on a Wednesday, she can probably visit again at a similar time and day of the week. Book the appointment with the same doctor, ensuring continuity of care and efficient use of exam time. Known as the two-yes-options technique, this phrasing guides pet owners to book future exams. When booking exams six months or more ahead, call clients two weeks in advance to confirm in case appointments need to be rescheduled. Also call two days before as a courtesy reminder. Use a unique color code in your practice management software so you can identify appointments that were booked in advance. Shifting to earlier appointment confirmation calls or emails will allow you to reschedule, if necessary. After all, rescheduling appointments is better than having no future appointments. Pre-blocking your schedule lets you plan for efficient, timely visits. Aim for the scheduling pattern of preventive care/sick/preventive care. You’re more likely to stay on time if you sandwich a sick-patient exam between two preventive checkups. 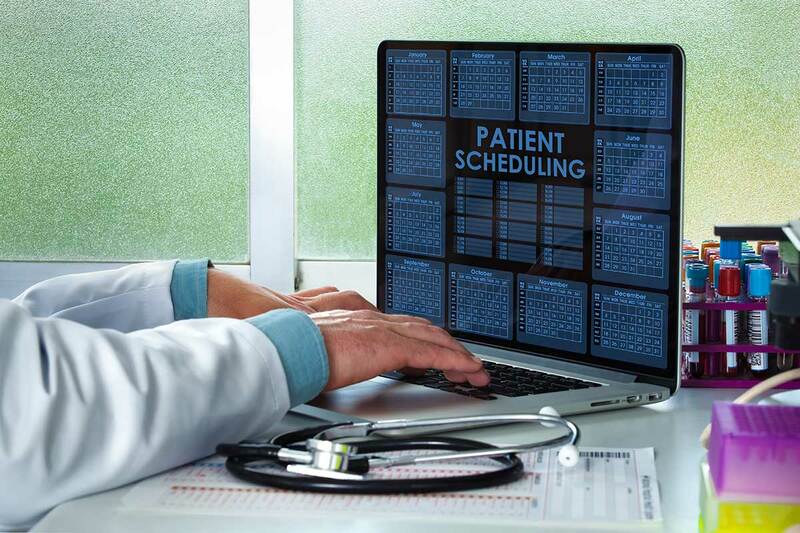 Forward-booking is especially important for patients with chronic health conditions such as cardiomyopathy, hyperthyroidism, kidney disease and diabetes. Once you diagnose a pet with a chronic disease, switch the patient from a preventive care exam to a disease-management exam code. The disease-management exam reminds quarterly or at the interval the veterinarian sets. Scheduled follow-up care will let the veterinarian provide optimal disease management. Clients also will appreciate that the veterinarian has spread out the cost of care. By implementing these steps, veterinary hospitals can improve the health of their patients and practices with forward-booking. Wendy S. Myers owns Communication Solutions for Veterinarians in Castle Pines, Colorado. She is a certified veterinary journalist and author of “101 Communication Skills for Veterinary Teams.” You can reach her at wmyers@csvets.com or www.csvets.com.